Need some extra organization during the busy school year? Explore these clever around-the-house Duck Tape® Hacks. 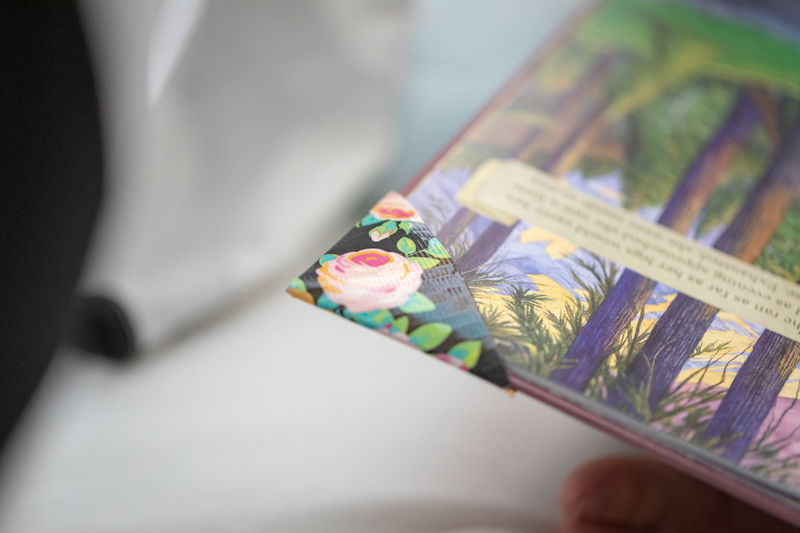 Create easy-to-use Duck Tape® bookmarks that fit right on the corner of your kid's books, and are perfect for home or school. 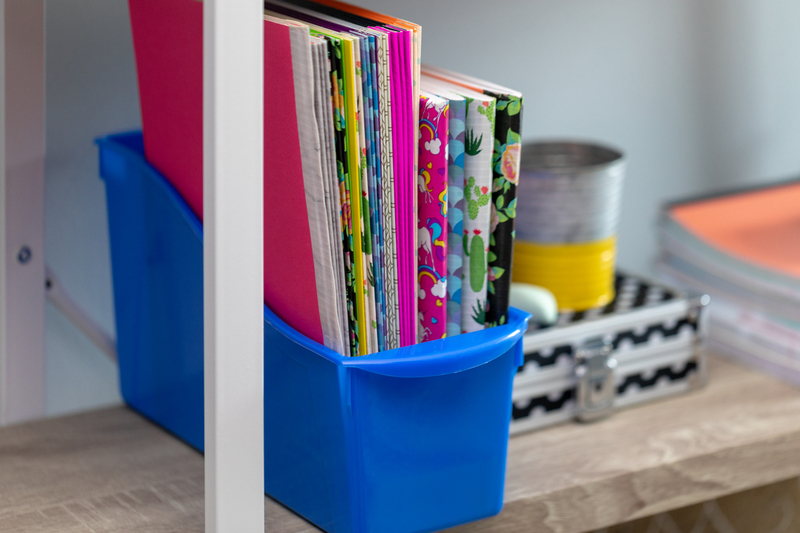 Give folders extra strength, and style, with brightly colored Duck Tape. Get creative and coordinate colors and prints for different classes or kids. Broken crayons got you down? Use color Duck Tape for a quick, on-the-go repair. 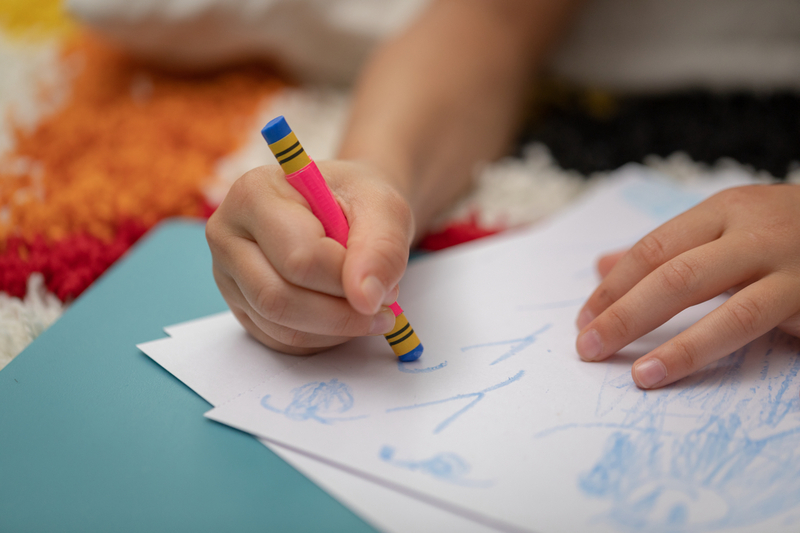 Even better - wrap new crayons to prevent a break from even happening. 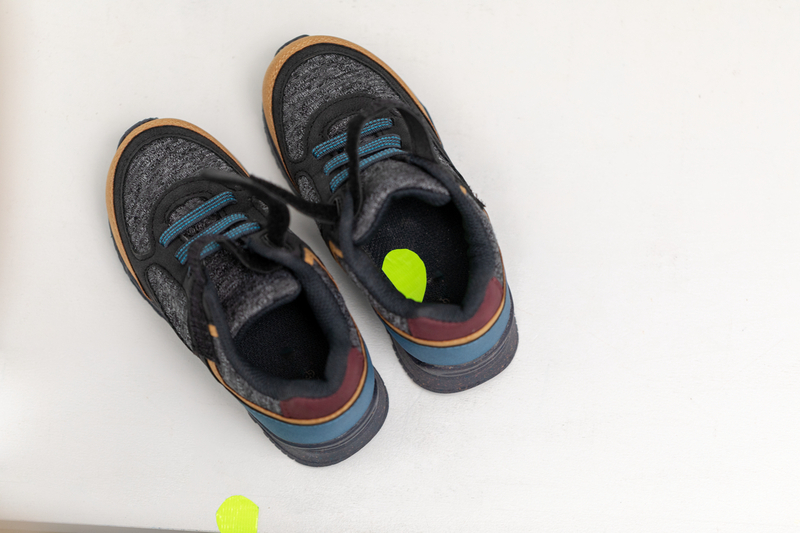 Get a jumpstart on your busy mornings with with Duck Tape stickers that label left vs. right shoes for your kids. Tired of throwing away dried up markers? Use printed Duck Tape to keep markers and caps together for easy storage. 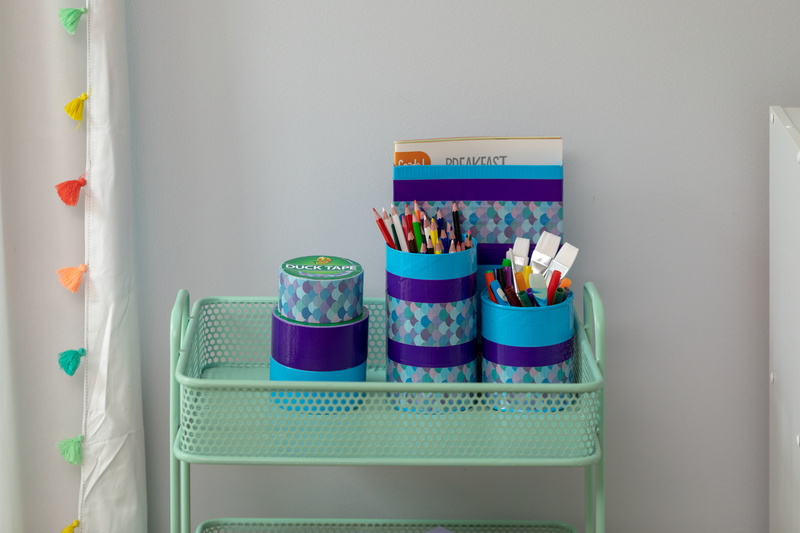 Use leftover cardboard boxes and coffee tins from the kitchen to create a stylish homework station that everyone can use. Need some new inspiration for your classroom? 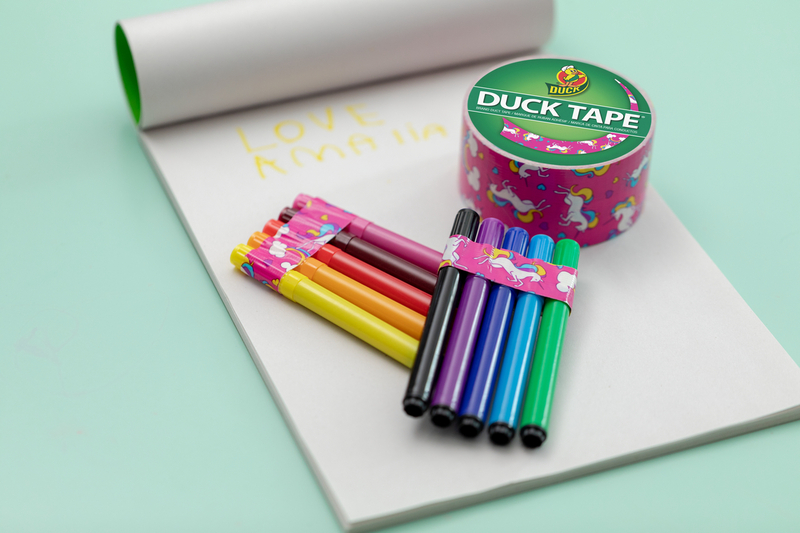 Check out these seven Duck Tape Hacks that will refresh your back-to-school space. Looking for a quick DIY Halloween costume for your little one that's still fun and adorable? All you need is some Duck Tape, shirts and a little creativity to create these cute, last minute costumes.